Dynamic Machine Tools Servicing pride ourselves with the customer support and service we provide. We predominantly work with high value complex machine tools across all industrial sectors. Over the last 14 years Dynamic Machine Tools has built an outstanding reputation for supplying high quality machining solutions. However, none of this could have been achieved without our outstanding team of service engineers. Dynamic have supplied numerous highly complex machines into all the premier industries within UK manufacturing. Machines have been installed in several tier one aerospace companies, Formula 1 teams, and one of the UK’s most prestigious automotive manufacturers. State of the art installations have also been installed in various companies supplying the defence, oil and gas, mould making as well as general engineering. 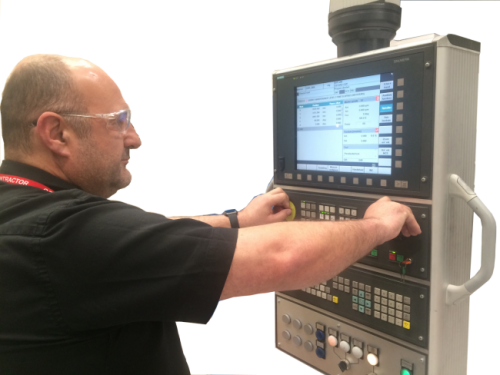 Dynamic’s engineers excel in working on highly complex multi-axis machine tools in both their electronic and mechanical requirements. Our servicing team can offer annual service contracts, extended warranties including accidental collision damage, laser calibration and ball-bar test facilities. Dynamic offer an extremely comprehensive service package to protect your investment. Excellent references from some the UK’s most demanding customers can be provided.